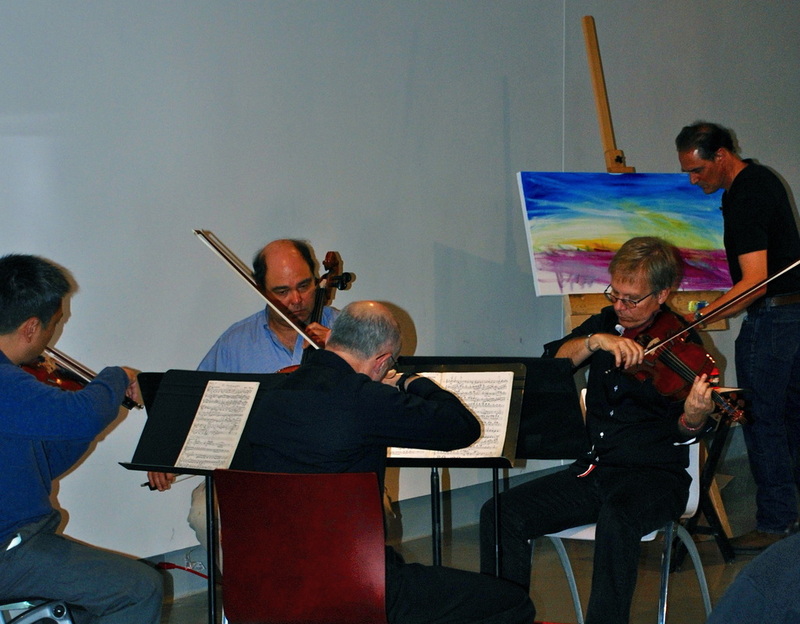 Painter Jim Schantz expresses music performed by the Hawthorne String Quartet at University of Omaha. Students express music performed live by the Hawthorne String Quartet at University of Omaha. 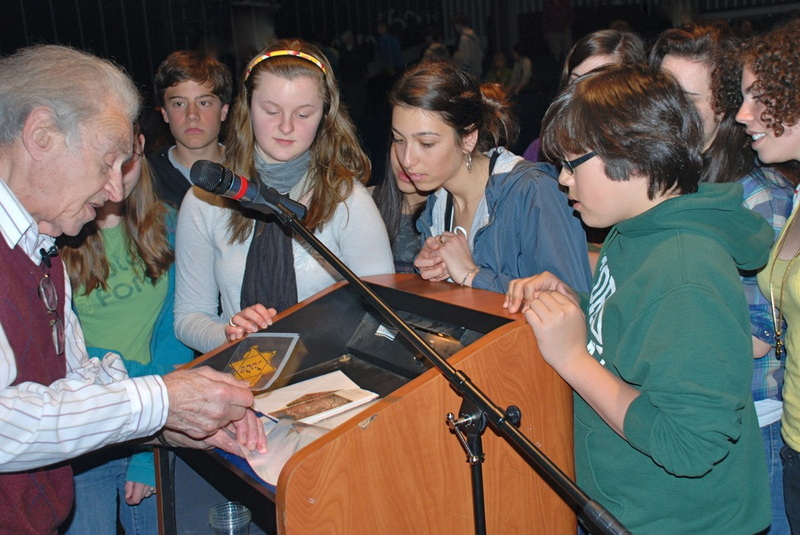 Schools across New England request TMF programs and invite our educators to visit as guest speakers. With musicians (frequently members of the Boston Symphony Orchestra and Hawthorne String Quartet) performing works from Terezin and WWII, we present multi-media programs probing history, art, and music in the Third Reich and the role of the arts in times of oppression. Contact TMF to arrange a presentation at your school. ​Journey with us into the creative world inside the Terezín concentration camp, where prisoners wrote and performed music as a refuge against the horrors of the Third Reich. We will present remarkable songs, opera, and chamber works as we tell you the personal stories of outstanding and passionate Terezín artists Ilse Weber, Pavel Haas, Viktor Ullmann, Gideon Klein, and Hans Krasa. Many survivors have said their music “saved our lives.” Their stories pose timely questions: How does the creative spirit transcend border walls? How does music express the universal longing for freedom? This program is easily customized for middle- and high school and college curricula and is ideal for special programming in synagogues, organizations, and corporations seeking to explore history, music, and artistic expressions of hope and transcendence. Contact us for more. TMF's Emerson-Ondrícek Fund sponsors master classes for students of the prestigious Prague Conservatory, Jan Deyl Conservatory for Visually Impaired, and HAMU Music Academy. Classes are given by artists performing in TMF concerts in the Czech Republic who reflect the highest standards of music pedagogy and virtuosity as exemplified by the distinguished careers of Emanuel and František Ondrícek. EOF was established through a generous gift of Harriett Emerson, a prize pupil of Emanuel Ondrícek. TMF holds residencies with the Hawthorne String Quartet at University of Washington, Boston College, Skidmore College, Syracuse University, and University of Omaha. Programs include master classes, professional and student concerts, lectures, seminars, and multi-media activities with visual arts.